We've been crunching data again to come up with the definitive list of cars that are most rapidly disappearing from our roads - and looking at the 20 cars featured, it's a case of natural selection working in our favour. What we did was gather the numbers of all types of cars on the road between the end of 2007 and 2011. Then, we calculated the percentage remaining for all cars at the end of the five-year period, with the intention of working out which cars are disappearing the quickest, and how many are left. If you're a fan of unloved 1990s family cars, the read 'em and weep - for they are going fast. If you want one, be quick before they're all gone! In 1994, Daewoo entered the UK market, with a brave attempt to try and re-shape the buying experience. So the cars had fixed, no-haggle, prices, the showrooms lacked salesmen, and you took your car to Halfords for servicing. The experiment didn't work in the UK, and anyone who owned one will tell you these early GM-platform cars were really not good enough. 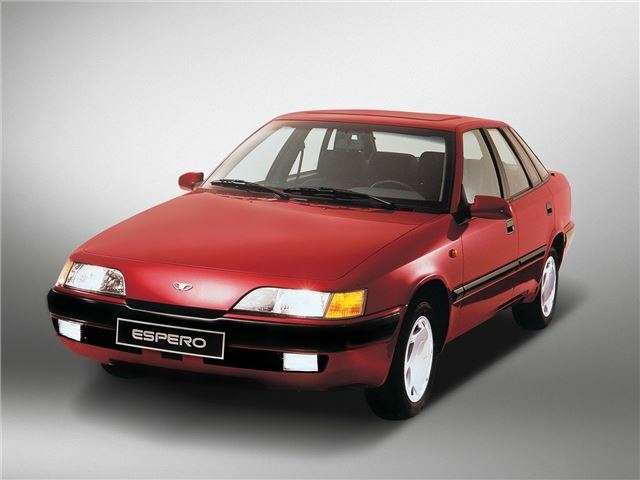 The Espero was an interesting looking car, though - with hints of Citroen XM in its styling. The underpinnings were shared with the Vauxhall Cavalier Mk2, and the engines weren't really strong enough for the job in hand. They briefly became a minicabber's favourite, but now - knocking on - they're disappearing incredibly quickly. Some would say that's for the best, but the remaining few cars are a fascinating reminder of an interesting UK retail might-have-been.